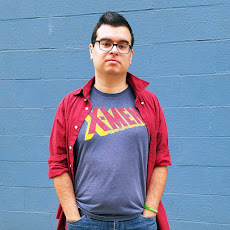 It’s no secret by now that fan reaction to the Bennet run on the comic book that revitalized the franchise has been lukewarm. Half of the fandom hate it, the other half are just kinda okay with it. I don’t post negative reviews and only share things that I truly love and recommend. After Shattered Grid, I don’t know if I still love this series. But I want to, and that’s why I’ll keep reviewing it. From the first word bubble, I was already in agony. Cam says, “it’s halftime” in an obvious nod to this being the halfway point in the current arc. I don’t think the current storyline is poorly written - I just don’t care about it. An original Ranger fighting an original villain in an original setting? It’s a massive whiplash from the crossover extravaganza we had before it and after the last issue, I was hoping we were done with the Praetor and the Solar Ranger. So this issue. It appears to be similar to a few issues we got back in the Higgins run - before Shattered Grid - where the main artist was given a break to catch up every four issues. A standalone side story was written for a new artist. Here, French Carlomagno (artist of the Psycho Green origin story) draws the origin of Heckyl’s Dark Ranger, colored by Walter Baiamonte, who has colored previous Power Rangers stories. I will give Bennet credit for some Trey Moore level attention to detail and lore. The story details Heckyl’s training as a Keeper after the finale of Dino Supercharge. In that episode, the Rangers go back in time and prevent the extinction of the dinosaurs. When they return to the present, they find dinosaurs roaming the Earth like it’s no big deal. 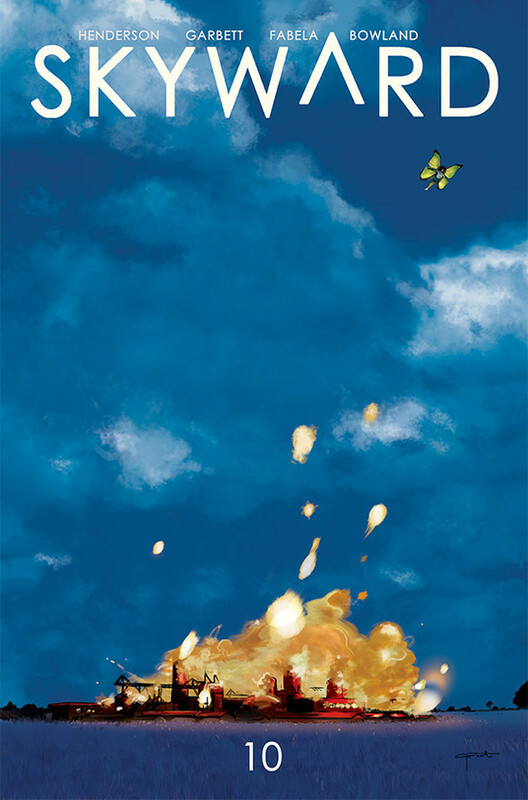 It never occurred to me how that might effect Heckyl’s origin story - namely the destruction of his homeworld, Sentai 6, at the hands of Lord Arcanon in search of the Dark Energem. Heckyl is given a second chance to save his planet and destroy Arcanon. The part where Heckyl becomes the Dark Ranger and fights Lord Arcanon is awesome. 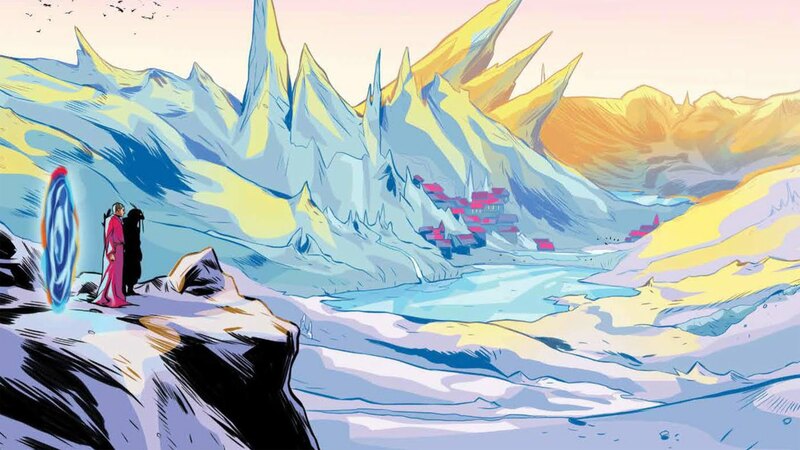 But before that, we get a real glimpse at Sentai 6, Heckyl’s homeworld. is weird. Sentai 6 is populated by fauns, centaurs, guys with horns, guys with antlers, centaurs with antlers, and a whole bunch of other weirdos. And all they seem to do is have bonfires and snowball fights. It’s weird. But it works to show what Heckyl is trying to protect, what he’s willing to bond with the Dark Energem to save. It felt like a faerie Ewok picnic. That’s mostly done in the background and not a real problem. No, the real problem here is our secondary character: Zenowing. I hate Zenowing. Without getting into spoilers, half of Heckyl’s emotional rise as the Dark Ranger is tied to Zenowing and this story didn’t make me care about him more so that part fell flat. The relationship to Sentai 6 and its inhabitants, while totally weird, does resonate since it builds off of the show and the comic does at least make us care about them. The origin of the Dark Ranger may not have totally lived up to its hype, but I’ll admit a lot of this review comes from my personal biases. I love Dino Charge, but never really cared for Heckyl. I actually liked him better as a villain. 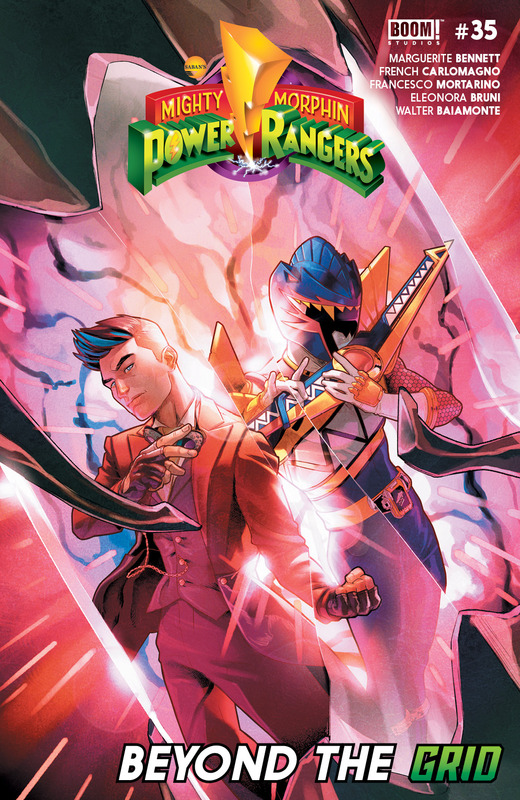 It was nice to see Bennet write an actual Power Rangers story set in the actual Power Rangers universe and Carlomagno’s art is on par with the rest of the series. While I wasn’t in love with this issue, I’d still rather have more stories like this. I’m afraid to go back beyond the Grid. I’m over the Solar Ranger - I’d rather read a Zenowing story. The second arc of last year’s runaway hit comes to a climactic conclusion. Willa took a detour from trying to bring gravity back to the world so she could fight a bunch of giant bugs. Every single issue of Skyward has excelled at taking a simple and somewhat goofy premise and running with it in a smart and creative way. This issue, however, spends more time wrapping up the recent storyline and setting things up for the upcoming arc. I don’t want to give away any spoilers, but trust me when I say you should absolutely pick up this amazing series. Click here to get the first volume and click here to pre-order the second. This is a fantasy horror limited series about a plant-based otherworld that is launching an attack on the Earth. Infectious fungus, civilization ending vines, and vegetables with attitude robbing a bank. It’s weird. I like it. Horror isn’t usually my thing, although I didn’t really know this was horror until after I read it and saw it described as such online. So if you don’t like horror either I guess you might like this too! You guys know I like my worldbuilding and there is a lot of that here. It’s not just “Plant People” from “Plant World.” There are all kinds of different entities from the otherworld that really show creativity behind the team when it comes to crafting a unique world inhabited by plants. There’s a lot of really cool stuff in here, but I feel like the creators tried to cram too much in such a short amount of time. If there were more than five issues, these roots would’ve had time to grow. It reminded me a lot of Guillermo del Torro’s The Strain. A large cast of different kinds of characters, lots of creative and interesting concepts, and lots of plot twists. But it tried to do too much in just one “season” and really needed more time. In addition to all the plant stuff, the government also has these secret Iron Man, which was kinda random. There are lots of cool things going on, but not enough time to really delve into them. 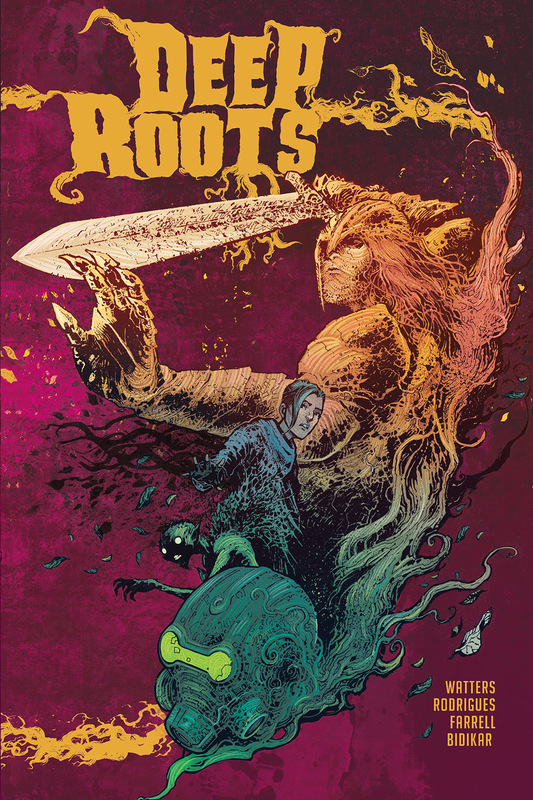 If you’re alright with a short, one-off story, Deep Roots does a great job of taking “Plant People from Plant World” in a dark and serious direction, and it shows that the creators really know the genre. I do prefer short comic stories, but this is one series that needed to be longer. Click here to pick up your copy of Deep Roots.